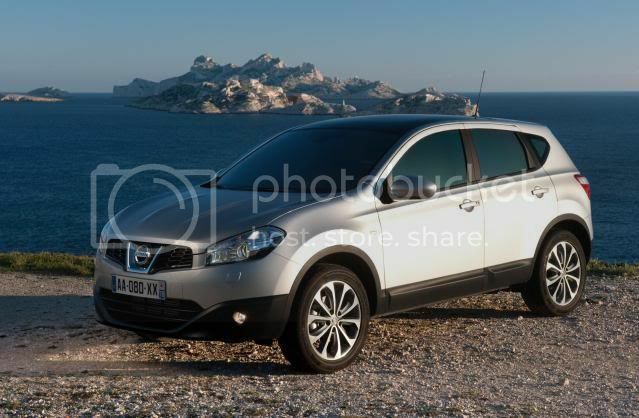 Nissan has exceeded 1 million sales of the popular Qashqai crossover, four years after its launch back in 2007. Designed, engineered, and built in Britain, the Qashqai is sold locally in Japan and Australia as the Dualis. The year 2008 saw Nissan introduce a long-wheelbase, 7 seat Qashqai+2, while in March 2010, Nissan released the revised Qashqai. The Qashqai is currently produced in three locations; Sunderland in the UK, Kyushu in Japan, and Haudu & Zhenghou in China. The Sunderland facility in Western Europe is the biggest producer, with over 800,000 vehicles produced. 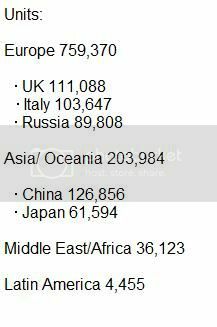 Unsurprisingly, Europe lead the way with over 759,370 Qashqai's units, 111,088 sales went to the UK, with Italy following closely behind at 103,647 units. "Qashqai is clearly the pioneer when it comes to ‘Compact Crossovers’, setting the trend that others in the industry follow," said Guillaume Masurel, Nissan's Global Chief Marketing Manager for Qashqai. "Its balance of key SUV attributes like robust design, roomy interior and higher driving position combined with the benefits of a hatchback such as great fuel economy, compactness and driving dynamics, resonates well with customers around the world."